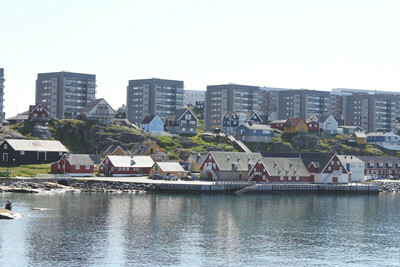 Nuuk is a vibrant city in rapid development. With nature as the backdrop, you’ll find an international airport, Ilisimatusarfik University of Greenland, a hospital, schools, courthouse, an award winning swimming pool, several ports, numerous shops, restaurants and cafes, the lovely Katuaq Cultural Centre, the National Museum and many major organisations. Many bohemian artists live in Nuuk side by side with the serious business professionals. There is room for everyone here. For excursions, we refer to Tupilak Travel, which has a fixed program every week. Their office is centrally located in Nuuk and is open from 08.30-16.30 daily. We recommend a helicopter ride over Nuuk. The trip lasts 15-20 min. and costs approx. DKK 1.400. It's a nice experience. The guide takes you by bus or car around Nuuk. You’ll see the new districts and hear a little about the architecture and everyday life of the approx. 17,000 inhabitants. From the newer part of town you’ll be taken through the older districts, ending at the colonial harbour dating back to the 1700s. Important: Do not hike alone. The mountains of Nuuk look peaceful, but they are demanding and the terrain can be dangerous to people unfamiliar with the region. 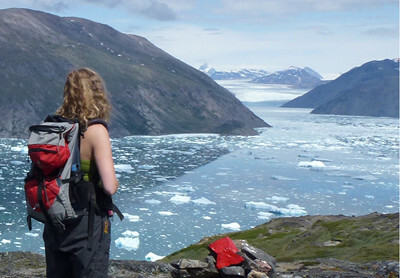 We recommend guided tours in and around Nuuk. Please contact us for assistance. The word "Kaffemik" is Danish, but the word has its origins in Greenland. It’s a Greenlandic tradition for special occasions to celebrate a child’s first day of school, birthdays, confirmations, weddings and so on. These celebrations are so popular that many people attend a Kaffemik about once a week. Kaffemik is an open house event, where guests come and go in a constant flow. Typically, coffee, cake and some Greenlandic specialities are served on the host’s best china. The food often takes days to prepare in advance, and every host takes pride in ensuring their guests are well fed and have an enjoyable time. Every Kaffemik is different according to the host’s personal traditions. The Kaffemik excursion offered for international visitors gives a glimpse into a private Greenlandic home. A personal and unique experience which we thoroughly recommend. 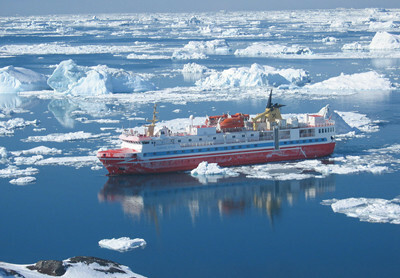 From Nuuk it takes about 2 hours by boat to the end of the fjord and into the icefjord. You’ll sail past the abandoned village; Qoornoq, where it is possible to go for a walk. Further towards the end of the fjord you’ll pass a large bird cliff populated by thousands of seabirds. 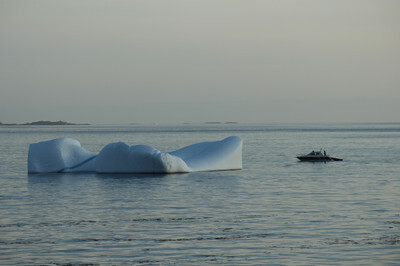 The boat drifts in front of the glacier while you enjoy your picnic lunch (included) with a view. Greenland's largest export income is undoubtedly fishing. 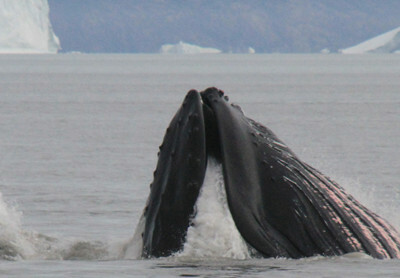 Many locals go fishing to fill their freezer. 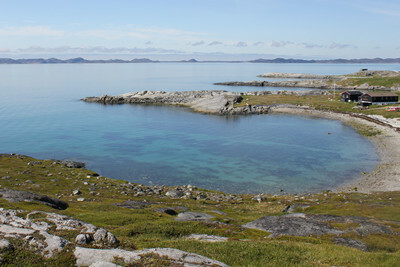 Around Nuuk there is ample opportunity for fishing in Nuuk’s unbelievably large fjord system. 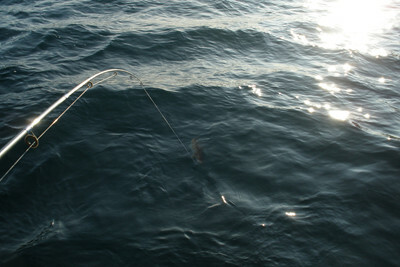 There is both cod and redfish fishing. Greenland is best seen from the air by a helicopter. It is possible to take good pictures above and enjoy the bird's eye view. It's no secret that flying in a helicopter is an exciting and unforgettable experience. The Sermitsiaq mountain range is only 15 km from the capital. The city is full of history and culture. The Greenland National Museum & Archives are divided into several buildings with an interesting story to tell about Greenland's history. The museum has excellent collections, including the well-preserved mummies from Qilakitsoq near Uummannaq. The mummies were found by locals back in 1972, in a burial ground for 6 women and 2 children. A walk in the old colonial harbour is a must in Nuuk. The National Museum and other protected and well-preserved, colourful buildings are located there. The Mother of the Sea is a beautiful sculpture located near the colonial harbour. The sculpture is partially covered by water at high tide, so it’s best viewed at low tide. There are also several eateries and cafés. Nuummiutter (Nuuk Citizens) like to go out and socialise. So go out - it's a great way to meet or observe the locals.